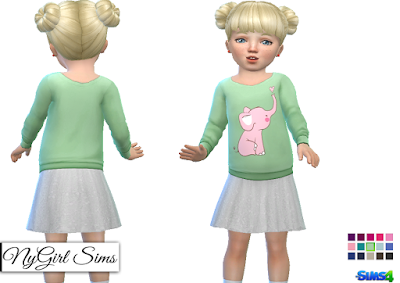 A simple little sweater dress with elephant decal and a lacy tulle style skirt. Made from a mixture of TS3 and TS4 textures as well as fabric textures and decals. Mesh edit by me. Comes in 15 colors.